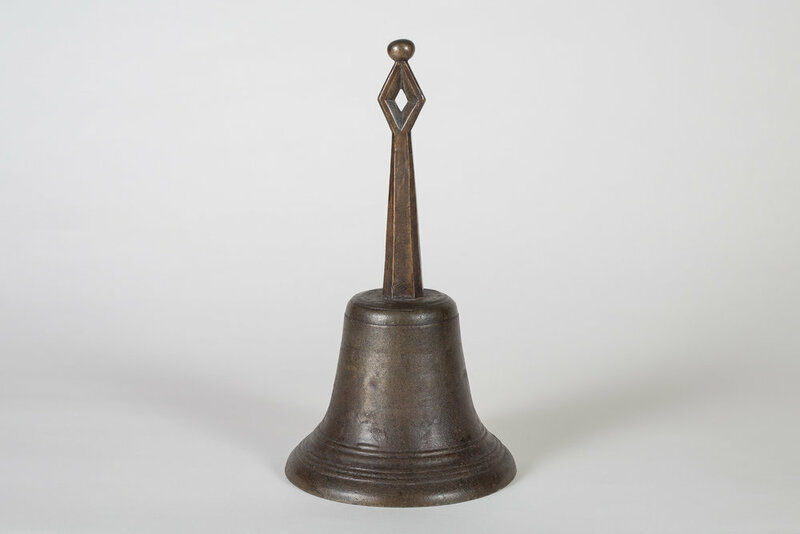 An exceedingly rare 16th c. bronze hand bell in excellent patina and condition. A virtually identical example is pictured in A.J.G. Verster, Koper en brons, pl. 37.